Bohr, Niels. Nielsen, J. Rud, 编. Volume 1: Early Work (1905–1911). Niels Bohr Collected Works. Amsterdam: Elsevier. 2008. ISBN 978-0-444-53286-2. OCLC 272382249. ——. Hoyer, Ulrich, 编. Volume 2: Work on Atomic Physics (1912–1917). Niels Bohr Collected Works. Amsterdam: Elsevier. 2008. ISBN 978-0-444-53286-2. OCLC 272382249. ——. Nielsen, J. Rud, 编. Volume 3: The Correspondence Principle (1918–1923). Niels Bohr Collected Works. Amsterdam: Elsevier. 2008. ISBN 978-0-444-53286-2. OCLC 272382249. ——. Nielsen, J. Rud, 编. Volume 4: The Periodic System (1920–1923). Niels Bohr Collected Works. Amsterdam: Elsevier. 2008. ISBN 978-0-444-53286-2. OCLC 272382249. ——. Stolzenburg, Klaus, 编. Volume 5: The Emergence of Quantum Mechanics (mainly 1924–1926). Niels Bohr Collected Works. Amsterdam: Elsevier. 2008. ISBN 978-0-444-53286-2. OCLC 272382249. ——. Kalckar, Jørgen, 编. Volume 6: Foundations of Quantum Physics I (1926–1932). Niels Bohr Collected Works. Amsterdam: Elsevier. 2008. ISBN 978-0-444-53286-2. OCLC 272382249. ——. Kalckar, Jørgen, 编. Volume 7: Foundations of Quantum Physics I (1933–1958). Niels Bohr Collected Works. Amsterdam: Elsevier. 2008. ISBN 978-0-444-53286-2. OCLC 272382249. ——. Thorsen, Jens, 编. Volume 8: The Penetration of Charged Particles Through Matter (1912–1954). Niels Bohr Collected Works. Amsterdam: Elsevier. 2008. ISBN 978-0-444-53286-2. OCLC 272382249. ——. Peierls, Rudolf, 编. Volume 9: Nuclear Physics (1929–1952). Niels Bohr Collected Works. Amsterdam: Elsevier. 2008. ISBN 978-0-444-53286-2. OCLC 272382249. ——. Favrholdt, David, 编. Volume 10: Complementarity Beyond Physics (1928–1962). Niels Bohr Collected Works. Amsterdam: Elsevier. 2008. ISBN 978-0-444-53286-2. OCLC 272382249. ——. Aaserud, Finn, 编. Volume 11: The Political Arena (1934–1961). Niels Bohr Collected Works. Amsterdam: Elsevier. 2008. ISBN 978-0-444-53286-2. OCLC 272382249. ——. Aaserud, Finn, 编. Volume 12: Popularization and People (1911–1962). Niels Bohr Collected Works. Amsterdam: Elsevier. 2008. ISBN 978-0-444-53286-2. OCLC 272382249. ——. Aaserud, Finn, 编. Volume 13: Cumulative Subject Index. Niels Bohr Collected Works. Amsterdam: Elsevier. 2008. ISBN 978-0-444-53286-2. OCLC 272382249. ^ 1.0 1.1 Cockcroft 1963. ^ 3.0 3.1 Coppenhagen Police. ^ Pais 1991, pp. 35–39. ^ Pais 1991, pp. 44–45, 538–539. ^ Niels Bohr Institute a. ^ 8.0 8.1 Niels Bohr Institute b. ^ Pais 1991, pp. 98–99. ^ Rhodes 1986, pp. 62–63. ^ Pais 1991, pp. 101–102. ^ Aaserud & Heilbron 2013, p. 155. ^ Rhodes 1986, p. 60. ^ 14.0 14.1 Faye 1991, p. 37. ^ Stewart 2010, p. 416. ^ Aaserud & Heilbron 2013, p. 110. ^ Aaserud & Heilbron 2013, pp. 159–160. ^ Favrholdt 1992, pp. 42–63. ^ Richardson & Wildman 1996, p. 289. ^ Pais 1991, pp. 107–109. ^ Kragh 2012, pp. 43-45. ^ Pais 1991, p. 112. ^ Pais 1991, pp. 133–134. ^ 24.0 24.1 Pais 1991, pp. 226, 249. ^ Stuewer 1985, p. 204. ^ Kragh 2012, p. 122. ^ Kennedy 1985, p. 6. ^ Pais 1991, pp. 117–121. ^ Pais 1991, pp. 121–125. ^ 32.0 32.1 32.2 Kennedy 1985, p. 7. ^ Pais 1991, pp. 124–129. ^ Pais 1991, pp. 134–135. 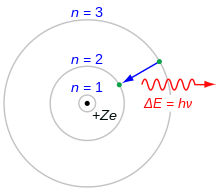 ^ 36.0 36.1 Bohr 1913b. ^ Pais 1991, p. 149. ^ Kragh 2012, p. 22-27. ^ Arabatzis 2006, p. 118. ^ Kragh 1985, pp. 50–67. ^ Heilbron 1985, pp. 39–47. ^ Heilbron 1985, p. 43. ^ 45.0 45.1 Pais 1991, pp. 146–149. ^ Pais 1991, pp. 152–155. ^ Kragh 2012, pp. 109–111. ^ Kragh 2012, pp. 90–91. ^ Kragh 2012, p. 39. ^ Pais 1991, pp. 166–167. ^ Pais 1991, pp. 164–167. ^ Niels Bohr Institute c.
^ 53.0 53.1 Pais 1991, pp. 169–171. ^ Kennedy 1985, pp. 9, 12, 13, 15. ^ Hund 1985, pp. 71–73. ^ Kragh 1985, pp. 61–64. ^ Pais 1991, pp. 202–210. ^ Pais 1991, p. 215. ^ Bohr 1985, pp. 91–97. ^ Bohr，Kramers & Slater 1924. ^ Pais 1991, pp. 232–239. ^ Pais 1982, pp. 419. ^ Pais 1982, pp. 418–419. ^ Jammer 1989, p. 188. ^ Pais 1991, p. 237. ^ Pais 1991, p. 238. ^ Pais 1991, p. 243. ^ Pais 1991, p. 242–243. ^ Kumar 2011, p. 184–185. ^ James 2004, p. 346–347. ^ Pais 1991, pp. 295–299. ^ Pais 1991, p. 263. ^ Pais 1991, pp. 296–297. ^ Pais 1991, pp. 332–333. ^ Pais 1991, pp. 464–465. ^ Pais 1991, pp. 366–370. ^ Pais 1991, pp. 337–340. ^ 86.0 86.1 Stuewer 1985, pp. 211–216. ^ Pais 1991, p. 456. ^ Rhodes 1986, pp. 287–314. ^ Pais 1991, pp. 382–386. ^ Pais 1991, p. 476. ^ Pais 1991, pp. 480–481. ^ Gowing 1985, pp. 267–268. ^ Frisch & Wheeler 1967. ^ Pais 1991, pp. 483. ^ 98.0 98.1 Aaserud 2002. ^ 99.0 99.1 Powers 2000, pp. 120-128. ^ Rozental 1967, p. 168. ^ 103.0 103.1 Rhodes 1986, pp. 483–484. ^ Hilberg 1961, p. 596. ^ Kieler 2007, pp. 91–93. ^ Stadtler，Morrison & Martin 1995, p. 136. ^ Pais 1991, p. 479. ^ Powers 2000, pp. 235. ^ Thirsk 2006, p. 374. ^ Rife 1999, p. 242. ^ Medawar & Pyke 2001, p. 65. ^ Jones 1978, pp. 474–475. ^ 113.0 113.1 Jones 1985, pp. 280–282. ^ 114.0 114.1 Pais 1991, p. 491. ^ Farmelo 2013, pp. 248. ^ Cockcroft 1963, p. 46. ^ Pais 1991, pp. 498–499. ^ Gowing 1985, p. 269. ^ 119.0 119.1 Pais 1991, p. 497. ^ Pais 1991, p. 496. ^ Gowing 1985, p. 270. ^ Gowing 1985, p. 271. ^ Aaserud 2006, p. 708. ^ Powers 2000, pp. 473. ^ Rhodes 1986, pp. 528–538. ^ Aaserud 2006, pp. 707–708. ^ U.S. Government 1972, pp. 492–493. ^ Aaserud 2006, pp. 708–709. ^ Pais 1991, pp. 515–518. ^ Gowing 1985, p. 276. ^ 136.0 136.1 Wheeler 1985, p. 224. ^ Pais 1991, pp. 519–522. ^ Pais 1991, p. 521. ^ Pais 1991, pp. 523–525. ^ Pais 1991, p. 529. ^ Niels Bohr Institute d.
^ 146.0 146.1 146.2 Soylent Communications. ^ Royal Netherlands Academy of Arts and Sciences. ^ Kennedy 1985, pp. 10–11. ^ Danmarks Nationalbank 2005, pp. 20–21. Politiets Registerblade [Register cards of the Police]. Copenhagen: Københavns Stadsarkiv. 1892-06-07. Station Dødeblade (indeholder afdøde i perioden). Filmrulle 0002. Registerblad 3341. ID 3308989. （原始内容存档于2014-11-29） （丹麦语）. Pais, Abraham. Niels Bohr's Times, In Physics, Philosophy and Polity. Oxford: Clarendon Press. 1991. ISBN 978-0-19-852049-8 （英语）. Rhodes, Richard. The Making of the Atomic Bomb. New York: Simon and Schuster. 1986. ISBN 978-0-671-44133-3 （英语）. Aaserud, Finn; Heilbron, J. L. Love, Literature and the Quantum Atom: Niels Bohr's 1913 Trilogy Revisited. Oxford: Oxford University Press. 2013. ISBN 978-0-19-968028-3 （英语）. Kragh, Helge. Niels Bohr and the quantum atom: the Bohr model of atomic structure, 1913–1925. Oxford: Oxford University Press. 2012. ISBN 978-0-19-965498-7. OCLC 769989390 （英语）. Stuewer, Roger H. Niels Bohr and Nuclear Physics. (编) French, A. P.; Kennedy, P. J. Niels Bohr: A Centenary Volume. Cambridge, Massachusetts: Harvard University Press. 1985: 197–220. ISBN 978-0-674-62415-3 （英语）. Kennedy, P. J. A Short Biography. (编) French, A. P.; Kennedy, P. J. Niels Bohr: A Centenary Volume. Cambridge, Massachusetts: Harvard University Press. 1985: 3–15. ISBN 978-0-674-62415-3 （英语）. Arabatzis, Theodore. Representing Electrons: A Biographical Approach to Theoretical Entities. University of Chicago Press. 2006. ISBN 978-0-226-02420-2 （英语）. Hund, Friedrich. Bohr, Göttingen and Quantum Mechanics. (编) French, A. P.; Kennedy, P. J. Niels Bohr: A Centenary Volume. Cambridge, Massachusetts: Harvard University Press. 1985: 71–75. ISBN 978-0-674-62415-3 （英语）. Heilbron, John L. Bohr's First Theories of the Atom. (编) French, A. P.; Kennedy, P. J. Niels Bohr: A Centenary Volume. Cambridge, Massachusetts: Harvard University Press. 1985: 33–49. ISBN 978-0-674-62415-3 （英语）. Pais, Abraham. Subtle is the Lord : The Science and the Life of Albert Einstein: The Science and the Life of Albert Einstein. Oxford University Press. 1982. ISBN 978-0-19-152402-8 （英语）. Jammer, Max. The Conceptual Development of Quantum Mechanics. Los Angeles: Tomash Publishers. 1989. ISBN 0-88318-617-9. OCLC 19517065 （英语）. James, Ioan. Remarkable Physicists From Galileo to Yukawa. Cambridge University Press. 2004. ISBN 0-521-81687-4 （英语）. MacKinnon, Edward. Bohr on the Foundations of Quantum Theory. (编) French, A. P.; Kennedy, P. J. Niels Bohr: A Centenary Volume. Cambridge, Massachusetts: Harvard University Press. 1985: 101–120. ISBN 978-0-674-62415-3 （英语）. Bohr, Niels. Nobel Prize Lecture: The Structure of the Atom (excerpts). (编) French, A. P.; Kennedy, P. J. Niels Bohr: A Centenary Volume. Cambridge, Massachusetts: Harvard University Press. 1985: 91–97 . ISBN 978-0-674-62415-3 （英语）. Bohr, Niels. The Bohr-Einstein Dialogue. (编) French, A. P.; Kennedy, P. J. Niels Bohr: A Centenary Volume. Cambridge, Massachusetts: Harvard University Press. 1985: 121–140 . ISBN 978-0-674-62415-3 （英语）. 节选自： Bohr, Niels. 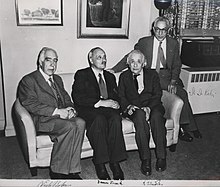 Discussions with Einstein on Epistemological Problems in Atomic Physics. (编) Paul Arthur Schilpp. Albert Einstein: Philosopher-Scientist. Evanston, Illinois: Library of Living Philosophers. 1949: 208–241 （英语）. Favrholdt, David. Niels Bohr's Philosophical Background. Copenhagen: Munksgaard. 1992. ISBN 978-87-7304-228-1 （英语）. Faye, January. Niels Bohr: His Heritage and Legacy. Dordrecht: Kluwer Academic Publishers. 1991. ISBN 978-0-7923-1294-9 （英语）. Gowing, Margaret. Niels Bohr and Nuclear Weapons. (编) French, A. P.; Kennedy, P. J. Niels Bohr: A Centenary Volume. Cambridge, Massachusetts: Harvard University Press. 1985: 266–277. ISBN 978-0-674-62415-3 （英语）. Heisenberg, Elisabeth. Inner Exile: Recollections of a Life With Werner Heisenberg. Boston: Birkhauser. 1984. ISBN 978-0-8176-3146-8 （英语）. Hilberg, Raul. The Destruction of the European Jews 2. New Haven, Connecticut: Yale University Press. 1961. ISBN 978-0-300-09557-9 （英语）. Jones, R . V. Most Secret War. London: Hamilton. 1978. ISBN 0-241-89746-7. OCLC 3717534 （英语）. Jones, R. V. Meetings in Wartime and After. (编) French, A. P.; Kennedy, P. J. Niels Bohr: A Centenary Volume. Cambridge, Massachusetts: Harvard University Press. 1985: 278–287. ISBN 978-0-674-62415-3 （英语）. Kieler, Jørgen. Resistance Fighter: A Personal History of the Danish Resistance. Translated from the Danish by Eric Dickens. Jerusalem: Gefen Publishing House. 2007. ISBN 978-965-229-397-8 （英语）. Kragh, Helge. The Theory of the Periodic System. (编) French, A. P.; Kennedy, P. J. Niels Bohr: A Centenary Volume. Cambridge, Massachusetts: Harvard University Press. 1985: 50–67. ISBN 978-0-674-62415-3 （英语）. Medawar, Jean; Pyke, David. Hitler's Gift: The True Story of the Scientists Expelled by the Nazi Regime. New York: Arcade Publishing. 2001. ISBN 1-55970-564-7 （英语）. Richardson, W. Mark; Wildman, Wesley J. (编). Religion and Science: History, Method, Dialogue. London, New York: Routledge. 1996. ISBN 978-0-415-91667-7 （英语）. Rife, Patricia. Lise Meitner and the Dawn of the Nuclear Age. Boston: Birkhäuser. 1999. ISBN 0-8176-3732-X （英语）. Rozental, Stefan. 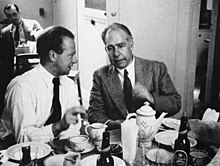 Niels Bohr: His Life and Work as Seen by his Friends and Colleagues. Amsterdam: North-Holland. 1967. ISBN 978-0-444-86977-7 （英语）. Previously published by John Wiley & Sons in 1964. Stadtler, Bea; Morrison, David Beal; Martin, David Stone. The Holocaust: A History of Courage and Resistance. West Orange, New Jersey: Behrman House. 1995. ISBN 978-0-87441-578-0 （英语）. Stewart, Melville Y. Science and Religion in Dialogue, Two Volume Set. Maiden, Massachusetts: John Wiley & Sons. 2010. ISBN 978-1-4051-8921-7 （英语）. Thirsk, Ian. De Havilland Mosquito: An Illustrated History, Volume 2. Manchester: MBI Publishing Company. 2006. ISBN 0-85979-115-7 （英语）. The Conferences at Quebec 1944. Foreign Relations of the United States. Washington, D.C.: U.S. Government Printing Office. 1972. OCLC 631921397 （英语）. Wheeler, John A. Physics in Copenhagen in 1934 and 1935. (编) French, A. P.; Kennedy, P. J. Niels Bohr: A Centenary Volume. Cambridge, Massachusetts: Harvard University Press. 1985: 221–226. ISBN 978-0-674-62415-3 （英语）. The Coins and Banknotes of Denmark (PDF). Danmarks Nationalbank. 2005 [2010-09-07]. ISBN 978-87-87251-55-6. （原始内容 (PDF)存档于2011-05-23） （英语）. Powers, Thomas. Heisenberg's War: The Secret History of the German Bomb｜publisher=Da Capo Press. 2000. ISBN 978-0-306-81011-4 （英语）. Farmelo, Graham. Churchill's Bomb: How the United States Overtook Britain in the First Nuclear Arms Race. Basic Books. 2013. ISBN 978-0-465-06989-7 （英语）. Aaserud, Finn. Kokowski, M., 编. Niels Bohr's Mission for an 'Open World' (PDF). Proceedings of the 2nd ICESHS. Cracow: 706–709. 2006 [2011-06-26] （英语）. Cockcroft, J. D. Niels Henrik David Bohr. 1885-1962 (PDF). Biographical Memoirs of Fellows of the Royal Society. 1963, 9: 36–53. doi:10.1098/rsbm.1963.0002 （英语）. 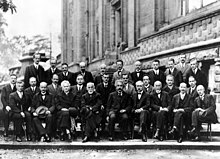 Niels Bohr centenary. CERN Courier. 1985, 25 (10): 430–432 （英语）. Bohr, Niels. On the Constitution of Atoms and Molecules, Part I (PDF). Philosophical Magazine. 1913a, 26 (151): 1–24. doi:10.1080/14786441308634955 （英语）. Bohr, Niels. On the Constitution of Atoms and Molecules, Part II Systems Containing Only a Single Nucleus (PDF). Philosophical Magazine. 1913b, 26 (153): 476–502. doi:10.1080/14786441308634993 （英语）. Bohr, Niels. On the Constitution of Atoms and Molecules, Part III Systems containing several nuclei. Philosophical Magazine. 1913c, 26 (155): 857–875. doi:10.1080/14786441308635031 （英语）. Darwin, Charles Galton. A theory of the absorption and scattering of the alpha rays. Philosophical Magazine. 1912, 23 (138): 901–920. ISSN 1941-5982. doi:10.1080/14786440608637291 （英语）. Bohr, Niels; Wheeler, John Archibald. The Mechanism of Nuclear Fission (PDF). Physical Review. 1939, 56 (5): 426–450. Bibcode:1939PhRv...56..426B. doi:10.1103/PhysRev.56.426 （英语）. Pearson, J. Michael. On the Belated Discovery of Fission. Physics Today. 2015, 68 (6): 40–45 （英语）. Bohr, Niels. To the United Nations (open letter). Impact of Science on Society. 1950-06-09, I (2): 68 [2012-06-12] （英语）. Klinglesmith, Daniel A., III; Risley, Ethan; Turk, Janek; Vargas, Angelica; Warren, Curtis; Ferrero, Andera. Lightcurve Analysis Of 3948 Bohr and 4874 Burke: An International Collaboration (PDF). Minor Planet Bulletin. 2013, 40 (1): 15 [2013-02-28]. Bibcode:2013MPBu...40...15K. （原始内容 (PDF)存档于2013-06-03） （英语）. Names and symbols of transfermium elements (IUPAC Recommendations 1997). Pure and Applied Chemistry. 1997, 69 (12): 2472. doi:10.1351/pac199769122471 （英语）. Tuve, M. A. Droplet Fission of Uranium and Thorium Nuclei. Science. 1939, 89 (2305): 202–203. doi:10.1126/science.89.2305.202. Professor Bohr ankommet til Moskva [Professor Bohr arrived in Moscow]. De frie Danske. 1944-05: 7 [2014-11-18] （丹麦语）. Niels Bohr's school years. Niels Bohr Institute. [2013-02-14] （英语）. Life as a Student. Niels Bohr Institute. [2013-02-14] （英语）. 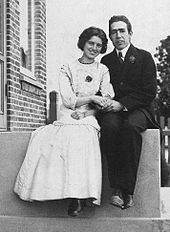 Niels Bohr: Biography. Nobelprize.org. [2011-11-10] （英语）. Ernest Bohr Biography and Olympic Results – Olympics. Sports-Reference.com. [2013-02-12] （英语）. Aaserud, Finn. History of the institute: The establishment of an institute. Niels Bohr Institute. [2008-05-11]. （原始内容存档于2008-04-05） （英语）. Heisenberg, Werner. Letter From Werner Heisenberg to Author Robert Jungk. The Manhattan Project Heritage Preservation Association, Inc. [2006-12-21]. （原始内容存档于2006-10-17） （英语）. Copenhagen – Michael Frayn. The Complete Review. [2013-02-27] （英语）. Craig-McCormack, Elizabeth. Guide to Atoms for Peace Awards Records (PDF). Massachusetts Institute of Technology. [2013-02-28] （英语）. Bohr crest. University of Copenhagen. 1947-10-17 [2007-03-16] （丹麦语）. History of the Niels Bohr Institute from 1921 to 1965. Niels Bohr Institute. [2013-02-28] （英语）. Niels Bohr. NNDB. Soylent Communications. [2013-10-21] （英语）. Niels Bohr – The Franklin Institute Awards – Laureate Database. Franklin Institute. [2013-10-21] （英语）. N.H.D. Bohr (1885 - 1962). Royal Netherlands Academy of Arts and Sciences. [2015-07-21] （荷兰语）. 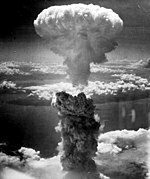 Horizon: Hitler's Bomb (Documentary). BBC 2. 1992-02-24 [2015-11-27] （英语）.